Ethereal means spiritual. This song has to do with the experience of being looked at as a body, but not seen. By no means do I think there is anything wrong with admiring aesthics — beauty is fun, but there is so much more. So this song is about rising above the physical. When I was creating this song, I had this calm, smooth melody playing in my head with no lyrics. This is usually how I compose; music/melody first, I never force the lyrics — they will reveal themselves as I keep humming and la la la-ing. The word Ethereal kept coming up at this one spot in the melody — every time. Then, one day I was strumming my guitar and I felt this aggression building (in a very positive way). I let it build and just come out. I started slashing the strings and screaming, “You want me! You’ve got to rise above. If you want my love…”. I had such a release — the first word to come to me was Ethereal. I then knew that the smooth calm melody and the aggressive slashing somehow fit together. They did. When I perform this song, I just let it roar. I’ve been told that it’s a cathartic experience. Invalidation can be an artist’s kryptonite. My weapon of defense is my purpose to inspire movement in others, both emotional and physical, as well as understanding that music is a subjective expression. My music is not everyone’s cup of tea, but when it does it, it has quite an impact. I’ve been composing all my life, however at a young age I was told I couldn’t sing — I didn’t sound like Whitney or Mariah. I was not crushed – I figured I’d just compose instrumentals or write songs for other people. It wasn’t until 2013 (when I was 43) that a fashion designer friend, Nathanaelle Couture, asked me to sing her one of my songs. I bashfully confessed that I’m not a singer, but she insisted. So with no accompanying music, I sang a song I had written called Perfect. She began to tear up. She said something hit her and she’s rarely touched like that. I was like “okay…”. I mean I believed she was feeling what she was feeling, but maybe she was having an emotional day. She told me that I had something very special with my voice and my style of melody and that I would be doing the world an injustice by not singing my own songs. Two weeks later I was front and center on stage opening for one of her fashion show. After the performance I was mobbed — not mobbed, but a lot of people wanted to know how they could get that song. I’m not trying to be a star or some overnight sensation. I just want to just want to be that melody, lyric or voice that inspires movement. I remember the first time I heard Ne Me Quitte Pas by Nina Simone and I was like “Who the F— is that?” It emotionally moved me, it grabbed me and would not let go til the end — I wasn’t sure if I was breathing at all during the length of that song. Also, this was the first time I had heard a voice that felt similar to mine (long before I discovered my voice). Every song on this album Ethereal had an emotional impact on me — If I don’t feel it, I can’t expect others to feel it. I live in New York…. Just moved here. Been to a couple of open mics, but still getting aquatinted. I would like to meet some musicians/producers who’d like to create. I did everything on Ethereal myself, and when I perform, I sing over an instrumental version I had recorded. I would love to sing with a live band. 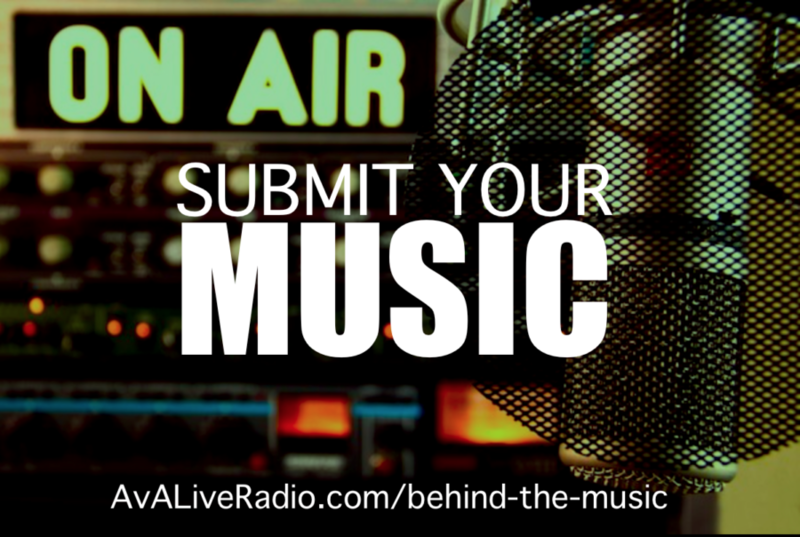 There is some really good music out there and I love all the channels available to artists to be heard. However, there is now so much information out there, it gets difficult to sort through the important from the unimportant. The efficient from the waste of time. 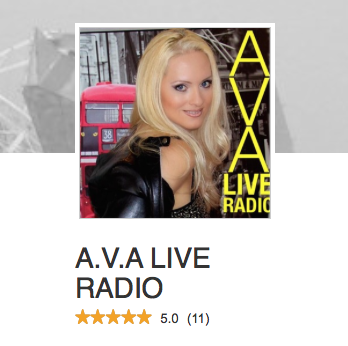 This is one of the reason why AVA Live Radio is valuable — I’m getting the information I need and it’s very helpful and inspiring and flows power to artists. Sia. I remember watching the season finale of “Six Feet Under” and at the very end, this song comes on and it’s got me. I’m like, “WHO IS THAT?!! !” I quickly googled, or whatever we did back and the day. Her name was Sia and the song was Breathe Me. She is such a singer song writer. 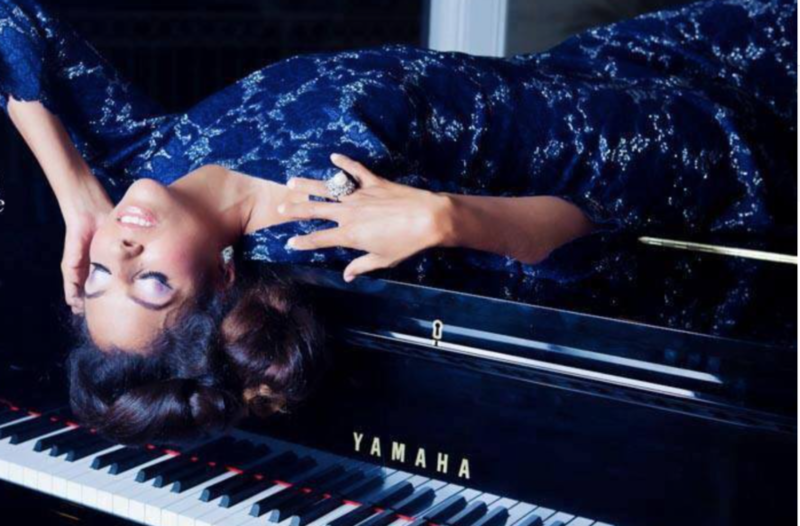 And her passion in what she’s sings and her voice…. I know that she does not like to be in the center of things, but here she is. She is brilliant. So I’d like to talk to her about balancing being the huge pop sensation with the heartfelt indi type singer song writer.